Amanda has worked in estate agency in the South-East of England for a number of years, in both residential and commercial property sales. This article concerns property prices in Kent. For those hoping to get on to the property ladder for the first time, the price of houses in the South-East can be more than a little daunting. However, there are huge differences between property values across the county. A three bedroom house in Tunbridge Wells, for example, may well cost more than double the price of a very similar house in Chatham. So who is this article for? First time buyers, property investors, those hoping to re-locate to a cheaper area, people living in London who would be happy to move and commute in order to improve their living standards, and lastly, of course, those who are simply curious. In January 2019, a search on RightMove quickly confirmed that 3 bedroom houses priced from around £210,000, are readily available in Ashford. The town is ideally located, both for those who regularly use the Channel Tunnel, and for those who need to commute into London by train. The town centre has a good selection of shops, including a designer outlet centre. There are numerous schools from primary to secondary level, and there is a Further Education College. Commuting from Ashford to London Bridge by rail takes around one hour and fifteen minutes each way. The former mining village of Aylesham is about 6.5 miles south-east of Canterbury, and around 8 miles north-west of the coastal town of Dover. Situated on a railway-line, this small town has reasonable transport links. Property prices here are a little lower than in Canterbury. £200,000 should easily be sufficient to buy a three bedroom family-sized house. Trains from here are probably not suitable for more than an occasional commute to London, as the typical journey time to London Victoria on this direct line route, is a little less than two hours. However, if you drive to nearby Canterbury and travel to London St Pancras, the journey can be considerably quicker. Basic, three bedroom houses are available from around £220,000 in Broadstairs, but the prices climb quite steeply, so budget around £240,000 plus to be sure of buying a family home in this charming, old-fashioned location.The town was once home to the famous Victorian novelist, Charles Dickens, and it's easy to see why he might have been drawn to this attractive seaside settlement with its wide, sandy beach. Set between Margate and Ramsgate on the Kentish coast, the town is popular with tourists and holiday-makers. Don't forget your bucket and spade! Broadstairs is on a direct train route into London St Pancras, and the journey time is around one hour and forty minutes. Rail commuters have a choice of stations. Trains from Bromley North will get you into London Bridge within half an hour. Trains from Bromley South take around twenty minutes to get to London Victoria. Canterbury is a beautiful city, famed for its cathedral, and for the pilgrimages that once made it such a popular destination. These days, tourists still throng the narrow, ancient streets, drawn by the many attractions to be found here. A university city, with excellent schools, shopping, and leisure facilities, Canterbury is a little more expensive property-wise than many of its Kentish neighbours. Although you can still find an occasional property below £220,000, realistically, 3 bedroom houses tend to cost more than this at present (January 2019). That said, there have been a number of recent price reductions on older listings, so there is always room for negotiation! Rail commuters who are happy to start their day with a longish journey should note that a train journey from Canterbury West station to London St Pancras takes between an hour, and an hour and fifteen minutes depending on whether you are able to make a direct connection. Home to the historic Chatham Dockyards, this fine old town has a great maritime history. Property in this Medway Town is incredibly reasonable, and three bedroom homes can be bought from as little as £150,000, representing excellent value for the South-East of England. Chatham is blessed with excellent transport links, and commuters may travel by train from here to London Victoria in under an hour. Famous for its tunnel under the River Thames, properties prices in Dartford are surprisingly keen considering its close proximity to London. Basic 3 bedroom houses are readily available from around £260,000. Within the historic town centre there are some fine, older-style properties. More modern estate houses are also available, and these offer good value accommodation for those on a budget. Travelling from Dartford to London Bridge by train is likely to take around 35 minutes. 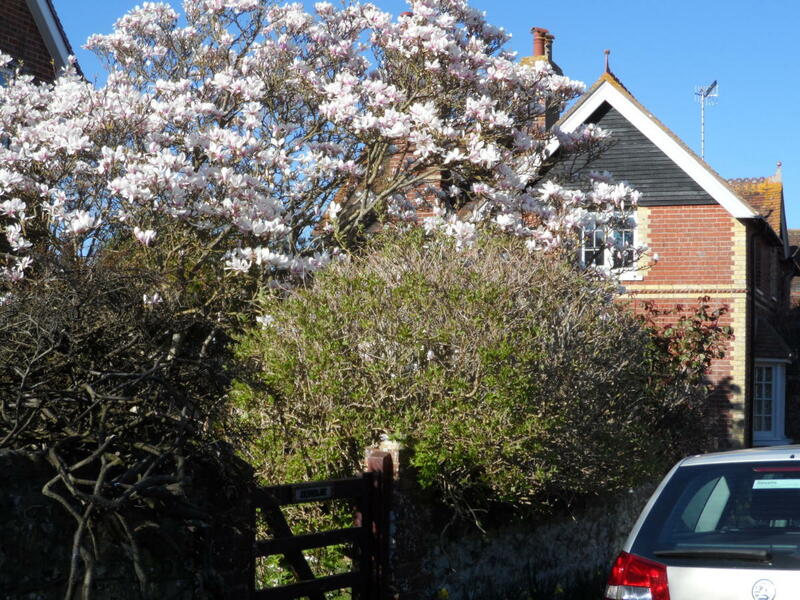 Around £185,000 should secure you a basic 3 bedroom house in Deal, or neighbouring Walmer. Deal enjoys the reputation of being the prettiest seaside town in Kent, and the lovely shingle beach is overlooked by one of Henry Vlll's castles, a unique and charming building in the shape of a Tudor Rose. Walmer also has a famous castle, popular with visitors, it is currently under the guardianship of English Heritage. Walmer railway station lies on the Kent coastal line. Dover, a dockland town on the Kent coast, has basic three bedroom houses from around £150,000. The town is a thriving port, and is sited at the narrowest crossing point between England and France. 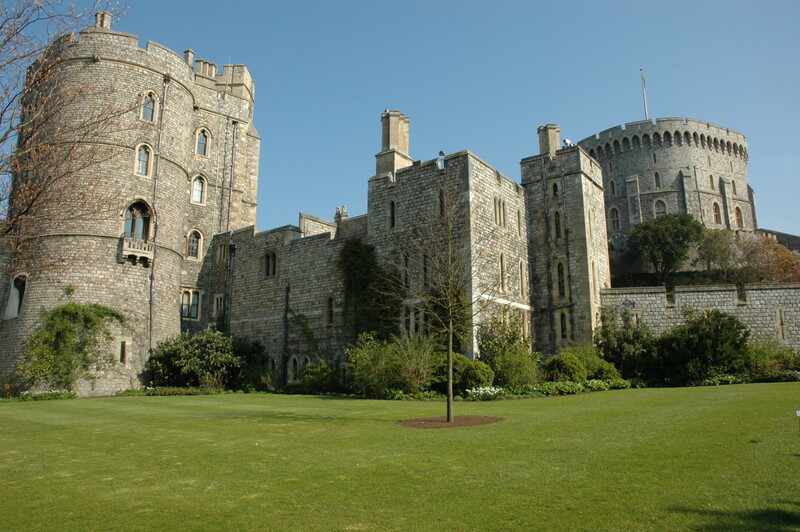 Once settled by the Romans, Dover boasts an ancient castle, and many other historic buildings. With good local schools, a hospital, excellent leisure facilities, plus good road and rail links, the town is well worth investigating. Three bedroom houses are currently available from around £270,000 in Edenbridge. House-hunters may find, however, that there are very few relatively modern properties available at the lower end of the market at present (January 2019). Edenbridge grew up along the old Lewes to London, Roman road, and is the nearest large settlement to Hever Castle. Well served by railway links, and boasting its own local hospital, this small town has much to recommend it. A typical rail commute from Edenbridge to London Bridge station will take a little over an hour. Three bedroom houses in Faversham start at around £235,000 (January 2019). The town grew up around an ancient sea port on Faversham Creek and is noted as the birthplace of the explosives industry in England. Today, the major employment opportunities are concerned with ship repairs and brewing. Faversham lies on the old Roman road, Watling Street, and has been a settlement since ancient times. Faversham station has a direct rail links into London, and a typical commute to London Victoria will take around an hour and a half. The harbour town of Folkestone is well served by transport links. 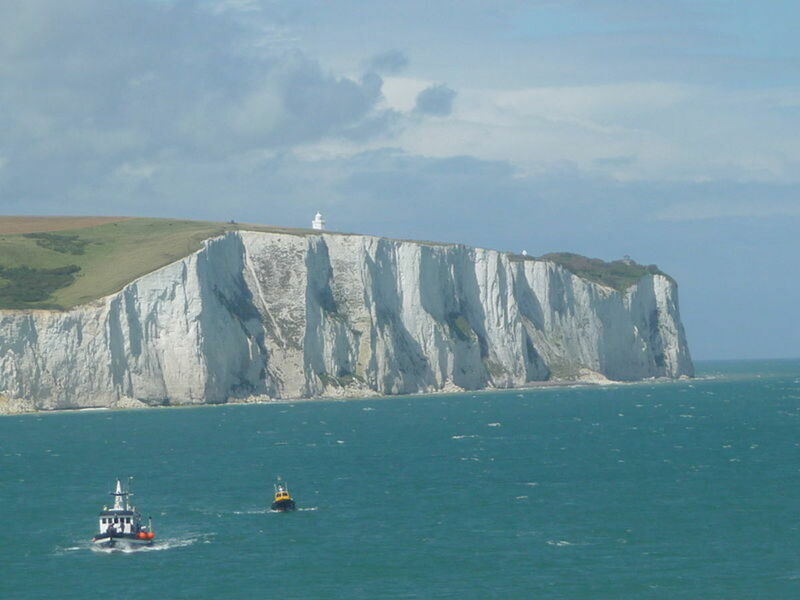 It sits at the end of the M20 motorway from London, has good coastal rail connections, and has a ferry port where boats regularly sail to France. So far as property prices go, you should have little difficulty acquiring a three bedroom house for around £180,000, making it one of the cheapest Kentish towns. £180,000 should be sufficient to buy a 3 bedroom house in Gillingham, Kent (January 2019). Gillingham, situated on the estuary of the River Medway, has a tradition of shipbuilding, and has historic links to the Chatham Dockyards. The town was mentioned in the Domesday Book, and has grown up from early history into the thriving, sprawling urban centre it is today. With schools and colleges through to Further Education level, and good transport links, affordable house prices make Gillingham an excellent choice for families looking to re-locate out of London. A typical train journey from Gillingham to London Victoria takes between approximately one hour (direct route) or an hour and a quarter (one change). Approximately £225,000 should be sufficient to secure you a 3 bedroom house in Gravesend. (January 2019). Considering its excellent transport links, and proximity to the capital, this makes Gravesend a good place to start if you're looking for affordable property within the London commuter belt. Roman settlers made their home in this area many hundreds of years ago, and the important geographical position of Gravesend, on the banks of the River Thames, has ensured it's popularity ever since. High speed rail links into London mean that a typical commute from Gravesend to London Bridge is approximately 50 minutes. Picturesque Hawkhurst, has 3 bedroom properties available from around £325,000. If you're quick, you still might find the occasional house priced a little below this. Once at the centre of the Kent hop industry, Hawkhurst still has a number of interesting old oast houses dotted around, mostly converted for residential use these days. The old railway station at Hawkhurst was a victim of the railway closures, but commuters can still travel by train from nearby Etchingham (East Sussex - a 15 minute drive away) which is on the Hastings line into London Bridge. A typical commute from Etchingham to London Bridge will take around an hour and a quarter. Herne Bay is a genteel, holiday-maker's type of town on the Kent coast. Three bedroom homes here, can be bought from a little under £230,000. There's no shortage of available property, and the town is popular with retirees. The town has an attractive beachfront area with a pier, and one of the nicest Indian restaurants (the Maharaja) on the south coast, located in the old Bandstand overlooking the sea. The small market town of Hythe lies on the edge of Romney Marsh, on the south coast of Kent. Hythe was once a major port, defended by two castles, Saltwood and Lympne. The harbour has gradually silted up over the last 300 years, and although both the castles still stand, they are not open to the public.The town itself has a mix of medieval and Georgian buildings at its heart, and a Victorian promenade. The cheapest three bedroom homes available tend to be from the more modern developments away from the historic town centre. These are priced from about £235,000. A budget of around £200,000 should secure you a three bedroom house in Maidstone. attractively sited along the banks of the River Medway, there has been a settlement here since well before the Romans arrived. 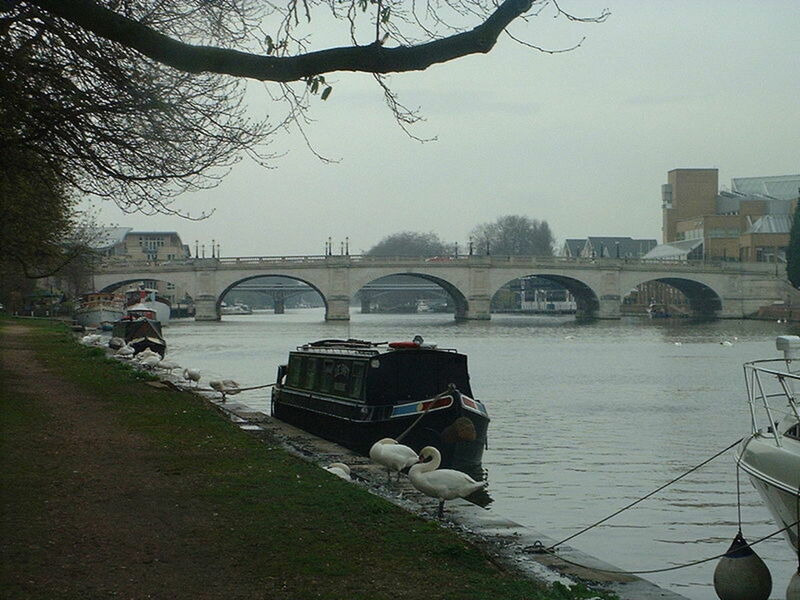 Modern day Maidstone is a large and affluent town with all the shopping, leisure, educational, and medical facilities, that go with such a well-developed area. Good local employment opportunities are further enhanced by the easy commute into central London. A typical rail journey from Maidstone to London Victoria will take around an hour. Margate is a popular destination for holiday-makers on the Kent coast, and the good news for property-buyers is that it's cheap as chips. Three bedroom homes are readily available from around £165,000. The town is undergoing major re-development with the promise of returning it to the glory-days of the 1960s when it was a magnet for staycationers. In particular, the once defunct Dreamland Pleasure Park has been recreated with all the rides updated for a modern day audience. The Turner Art Gallery is also a popular visitor attraction. Orpington is well served by transport links to and from the capital, including 'Transport for London' bus services. The typical time for a rail commute to London Bridge station from Orpington is a little under half an hour. Ramsgate has family sized houses with three or more bedrooms, readily available from £180,000 upwards. Much of the housing stock here is older style, so you may be able to bag a vintage bargain! The town is situated on the Kent coast, and still has a thriving fishing community, based in Ramsgate Harbour. The marina is one of the largest on the south coast, and ensures Ramsgate's popularity with boat-loving visitors. Three bedroom houses are available in historic Rochester from around £190,000. Once a Roman settlement, this attractive, historic town has the intriguing remains of a notable 12th century castle at its heart. The town centre retains many of its original ancient buildings, and is justifiably popular with tourists. The area benefits from good shopping, leisure, and educational facilities, including a University on the Rochester Chatham border. Prices have leapt up in Rochester since this article was initially written, so hurry, hurry if you're hoping to grab a bargain! Commuting into London Victoria by train from Rochester is likely to take a little under an hour. Although you might find the occasional property for less than £210,000, realistically, the typical price for the most basic 3 bedroom houses in the Romney Marsh area is £230,000 plus (January 2019). The prices have levelled off in recent months, and there seem to be numerous reductions happening across the price spectrum. After a brief burst of rapid house price inflation, it would appear that the market is cooling in Romney Marsh. Sevenoaks, a well-known commuter town, has a limited supply of lower priced houses. It seems that, this close to London, you're unlikely to find the delicious bargains that are available elsewhere in Kent. Sevenoaks is well-situated for all transport links, with two railway stations, and an easy commute into central London. Consequently, only a small selection of houses priced less than £350,000 seem to be available in January 2019. The town itself has excellent amenities, including a choice of primary schools and secondary schools, and good shopping and leisure facilities. 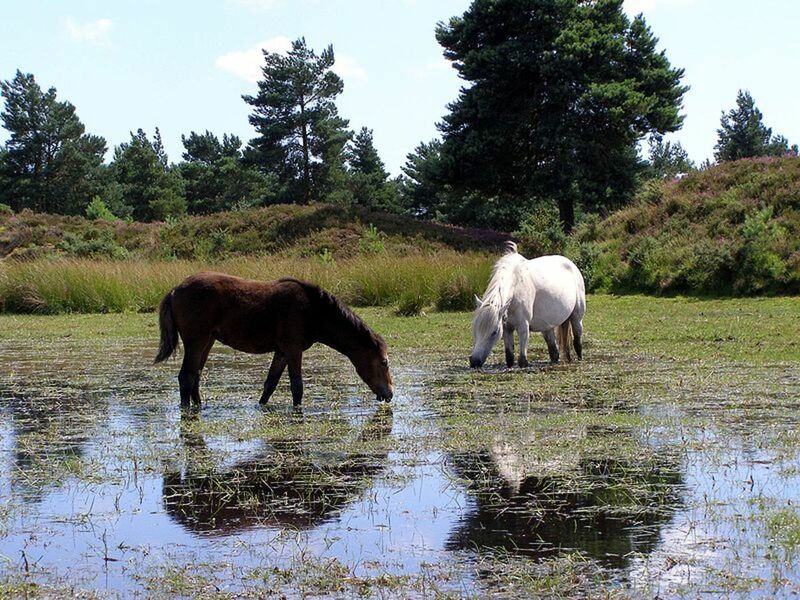 It is close to Knole Park, a noted National Trust property. Sevenoaks to London Bridge station takes approximately 30 minutes by rail. Sheerness, on the Isle of Sheppey, is excellent territory for first time buyers. 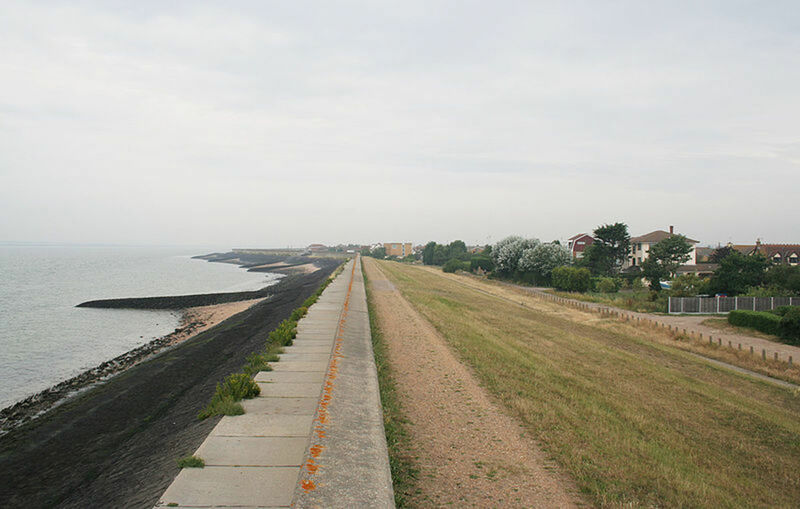 Unlike many other places in this over-priced South-East corner of England, Sheerness has a plentiful supply of 3 bedroom houses priced from about £140,000 upwards. Situated on the old Roman road of Watling Street, and close to the River Swale, Sittingbourne is historically a home to brickyards, and paper manufacturers which continue to offer local employment opportunities to this day. Good local schools, a thriving local economy, and excellent transport links, all combine to make Sittingbourne a great place to live. House prices are low for the South-East, and a budget of around £180,000 should buy you a three bedroom house. Commuters can travel into London Victoria from Sittingbourne station in a little over an hour. A limited supply of housing is available in Staplehurst, and a few of the three bedroom houses on offer are priced a little below £280,000. You'd better hurry if you want to snap up a house in this large Kent village. Popular with commuters travelling into London from the local railway station, the village offers all the benefits of a rural community with the added bonus of excellent transport links. Typical commuting time to London Bridge Station is 55 minutes. Basic 3 bedroom homes in Tonbridge are on the pricy side for Kent. You're unlikely to find more than an occasional property under £300,000, and most of the cheapest 3 bedroom homes in this area tend to be considerably more than this. Sited alongside the River Medway, Tonbridge was considered to be of strategic significance in medieval times, and a substantial castle plus the remains of other fortifications still stand within the town. These days, Tonbridge is a thriving community with excellent shopping, leisure, education, and transport links. An easy 40 minute journey into London by train, makes Tonbridge a popular commuter town. The cheapest three bedroom houses in Tunbridge Wells start from around £275,000 (January 2019). Tunbridge Wells is a beautiful, old spa town, with excellent facilities, and an air of faded gentility. In the old town, there is a famous street of collonaded shops known as the Pantiles, and the fascinating 'Dippers Hall' stands at one end of it. This is where people once would have queued to 'take the waters' from the Chalybeate Spring. Set amongst some of Kent's most beautiful countryside, the town is a very desirable location, and the many rocky outcrops close at hand make it popular with climbers. A typical rail commute into London Victoria from here, will take around an hour and a quarter. Whitstable is very fashionable these days. This Kentish seaside town is 5 miles North of Canterbury, and has been renowned for its oysters since Roman times. It has its own fishing harbour, and this, together with tourism, plays a large part in the local economy. When the tide goes out at Whitstable, a remarkable shingle bar appears, like a raised road heading straight out to sea. It is known as the 'Street', and locals and visitors alike can be seen promenading along it at low tide. The town has schools through to sixth form, and a railway station on the Chatham main line. A one hour and 23 minute commute on a direct line will take you through to London St Pancras. Three bedroom houses are available in Whitstable from around £250,000. Interested in Property in Other Counties? Click on the author profile in the top right hand corner of this article to see the full list of areas covered by this writer. The current list includes Berkshire, Cambridgeshire, Cornwall, Derbyshire, Devon, Essex, Hampshire, Lincolnshire, Norfolk, Northamptonshire, Oxfordshire, South Yorkshire, Suffolk, Surrey, and Sussex, with more in the pipeline. Bookmark this article or follow Cheapest Places UK on social media to see the latest updates. 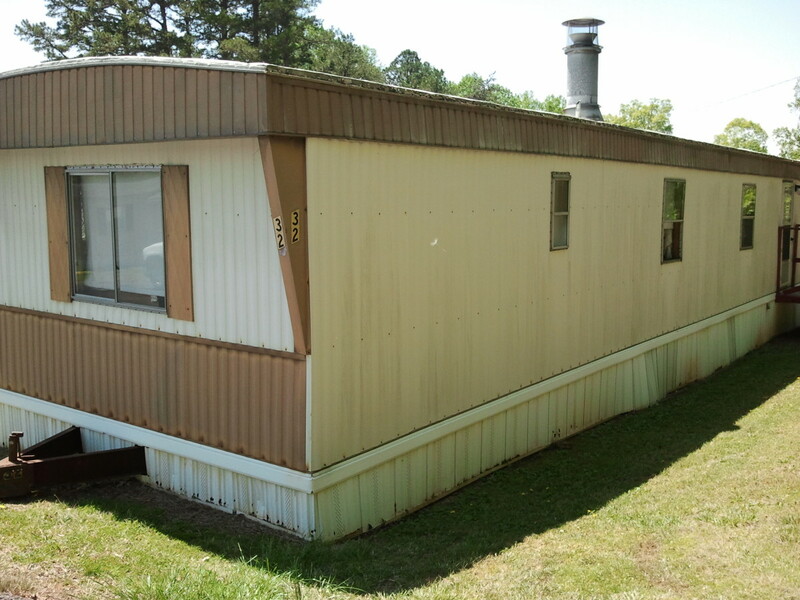 My partner and I will be in the position to buy soon, and Kent is the location we want to buy in. One area we are interested in is Whitfield, just outside of Dover, and it is my understanding that there is planned regeneration in Dover/Whitfield. In your expert opinion, do you think this will increase the house prices, and will Brexit will affect prices in South East Kent? Unfortunately, I cannot give you a definitive answer to your question. Nobody can honestly know what will happen to house prices post-Brexit, or to house prices in general, as there are far too many factors to consider at present. In the short-term, however, I can tell you that regeneration tends to give house prices an upward momentum, providing there are plenty of buyers looking to move into the area. Certainly, Whitfield does seem to be in the midst of a transformation of sorts, and the long-term indicators for the area seem positive. Do bear in mind that brand new houses often suffer a dip in value in the first few years after purchase, much as a new car does. House prices in the south-east of England have raced up in recent years, and many observers feel that a house price correction is overdue. We saw such a correction in the 1990's after a similar period of property price inflation, and it should come as no surprise if Brexit were to trigger falls in values. That said, foreign investment in the UK property market remains strong. It's a tough call, and only you can know whether you're ready to commit to a house purchase at this stage. Hi Sheila, house price increases tend to be driven by supply and demand. In the Walmer/Deal area there are plenty of properties coming on to the market, and many of these fall nicely into the 1% stamp duty bracket. These two factors combined conspire to keep house prices relatively affordable. Property prices tend not to suddenly leap up unless there is an exceptional circumstance driving demand, such as the so-called 'Rick Stein' factor in Padstow, Cornwall. High speed trains might make the commute into London easier, but it's still not a convenient daily journey compared to say, Gravesend, or Chatham, which are also fairly cheap locations. The plus side of lower house prices is that you can afford to live in a wonderful house in Walmer for the same amount that would buy a small flat in Brighton. Thanks for stopping by and commenting. I live in Walmer just on the border with Deal. There was great talk about the new high speed trains increasing house prices here but I haven't really noticed that they have. Nice information. Thanks for writing and sharing with us. Good job!